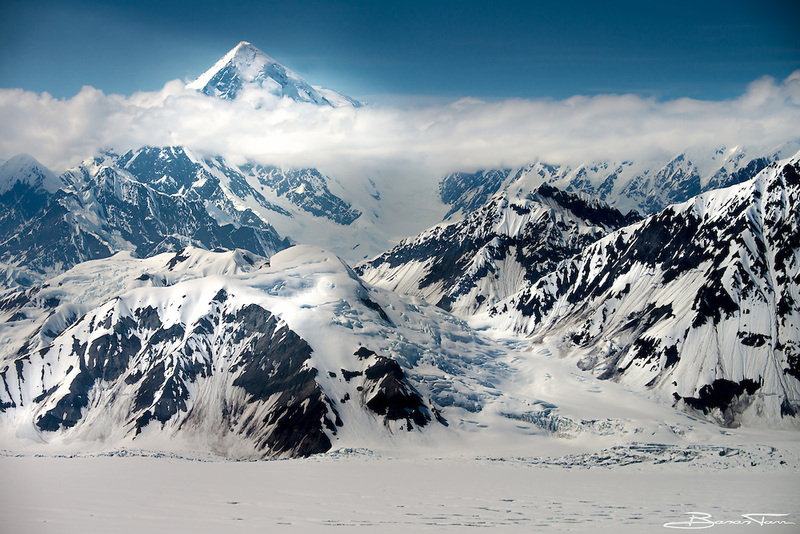 Known as Shaa Tléin by the local Tlingit indian tribe in Yakutat AK, this is more commonly known as Mount Saint Elias. It rises 18,008 feet only 10 miles from coastal waters. The immense vertical relief is rarely climbed due to poor routes and usually poor weather, but a few expeditions have done it successfully.